What is email etiquette? The definition of email etiquette relates to the behavioural principles in writing electronic mail messages. GOOD EMAIL ETIQUETTE UK: Email communication tends to be less personal than direct conversation and quick to send. Despite this, there are a few basic manners to follow and some common mistakes to avoid. Learn how to write better emails. Follow 10 elementary simple rules of email etiquette in business and written communication. The simplest approach to the ethics of professional writing is to consider these top ten rules as the basic 'dos and don'ts of writing emails'. The top commandments for sending well-written professional electronic mail messages are not difficult. So why do many writers fail at the first hurdle? How you formulate and compose an E-message reflects more than you might expect - or desire. This is according to the rules of email etiquette. Using proper email etiquette in business projects your acumen and personality. It also gives clues about your versatility and competence to those who read your letters. That helps to reflect friendliness and literacy in your writing skills. Follow these top 10 simple rules of chat message and email etiquette UK. Learn how to portray yourself as a respectful and polished communicator at the same time. What happens when you compose your first online correspondence to a new contact? You need to balance good email etiquette and digital protocol. The safest approach is striking somewhere midway between friendly and formal. Writing in an over friendly conversational manner can appear far too casual to meet the accepted rules of email etiquette in business. Whereas an extremely formal letter may seem austere or impersonal. Close and friendly business online messages are best left for future communications. A list of emailing etiquette and propriety tips simply has to include the golden rules of using correct grammar, accurate spelling. You should use proper punctuation marks and follow writing rules for numbers and numerals. Sentence structure should not be overlooked or underused. Without any doubt, spelling, grammar, and punctuation must be a top concern. It is particularly important to use polite and proper email etiquette in business. But it is also important when you are writing for communication or used in written articles. You must avoid being unprofessional and lazy at all costs. The dos and don'ts of email etiquette rules for writing banish the use of chat room shorthand or text message jargon. Special Email Etiquette UK Tip: Use actual English but be careful when using acronyms. Always check your message for manners before you hit the send button. Try to use muddle-free language in short crisp sentences. You may find using bullet points is often a good method to achieve this. Do not use strange quirky fonts or multi colours without a valid reason. A broad rule of thumb for proper emailing ethics is to avoid talking aimlessly. Focus on one subject per correspondence. Emails should be convenient and save time for the reader and the writer. But, picking up the phone is often the best alternative. Keep electronic email signatures simple and clutter free. As a rule a signature only needs to include your name and position, contact info, and a website link if you have one. The subject line is often ignored or misused. Use a purposeful and specific subject for each email relay. It should clearly show an indication of the content within. Carbon copy (CC) and blind carbon copy (BCC) are rarely used correctly. These useful tools are neat methods of proving a message has been sent. 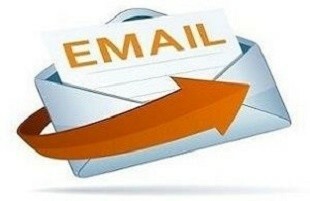 Use the blind copy to include your message to a private email address. It is not seen by other recipients that you include in the standard copy feature. Another golden reason why proper business email etiquette rules are important is to build professionalism and trust. Treat emails like phone calls and try to reply within a reasonable time frame. Sending compressed files as attachments will save your recipient time and frustration. Attachments should only be attached if you cannot include them in the body section. Giving it a clear subject title is also appreciated by the recipient. The tone of voice in emails is often misinterpreted as offensive or sarcastic. Adopting a tone that provides brief factual content is the golden rule. You want to avoid offending your human recipient on the other end of your computer. Perhaps there is one most damaging mistake of all business email etiquette rules UK writers make most often. It relates to the way you respond to a typical inbox message from a group of contacts. There is a huge difference, not mention potentially catastrophic, between hitting the standard 'reply' button and tapping the 'reply all' button. Clicking the button to 'reply all' means the whole group will see your response. There is another reason to avoid 'replying to all'. When you are writing for business communication doing so is likely to generate a plethora of replies cluttering your inbox.